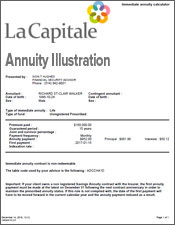 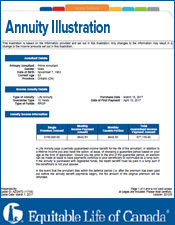 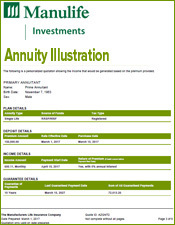 The following is a screenshot of RBC Insurance's annuity calculator used to obtain up-to-date annuity illustrations. 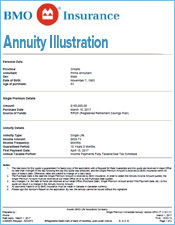 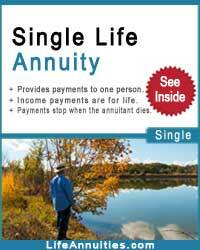 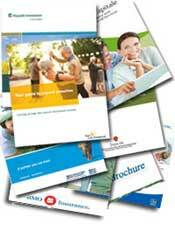 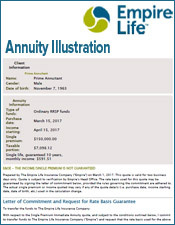 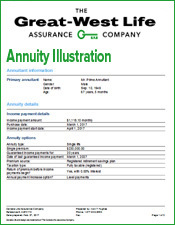 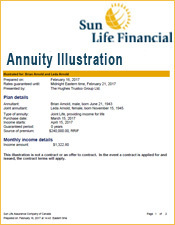 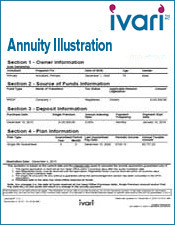 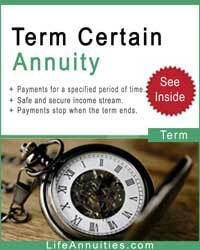 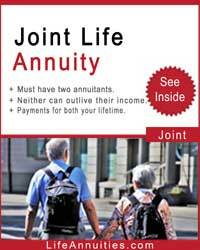 Each annuity calculation is tailored to your unique needs and financial goals. 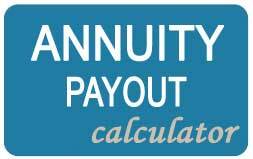 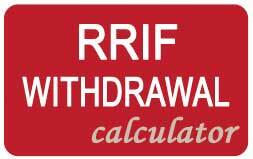 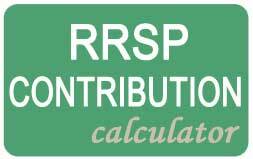 Calculate your monthly annuity payment using RBC Insurance's Annuity Calculator below. 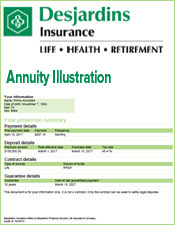 Once you submit your information, we'll calculate your monthly annuity income and send you the RBC Annuity Illustration by email. 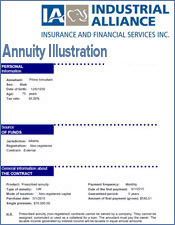 RBC Insurance is the brand name for the insurance operating entities of Royal Bank of Canada, which is one of North America’s leading diversified financial services companies. 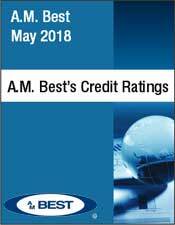 Among the largest Canadian bank-owned insurance organizations, RBC Insurance has approximately 2,500 employees who serve more than four million clients globally. 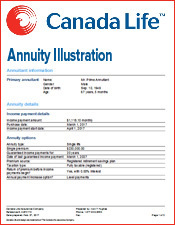 If you are looking to purchase a life annuity in Canada, consider investing with RBC Insurance. 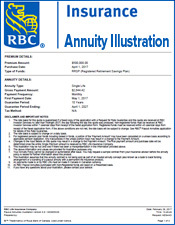 RBC Insurance is one of the largest financial institutions in Canada and has an excellent variety in life annuity products.